Watch The first hour and a half of Damian Lazarus' sunrise set and best moments at Day Zero 2019 in Tulum, Mexico. (tracklist) - Track? !D. Watch Damian Lazarus' sunrise set,best moments and check out the track names below. Here are a few words from the man himself: "I had been at the festival for over 14hrs before I started to play and I had hardly slept for 2 weeks before. So this is me, raw and uncut, not the best technical set I ever played but Wow, what a morning!! There’s a lot of unreleased new music here in this 90minutes (I played another 2 and a half hours after) and a couple of my favorite tunes of recent times, tracks that I feel very connected to. 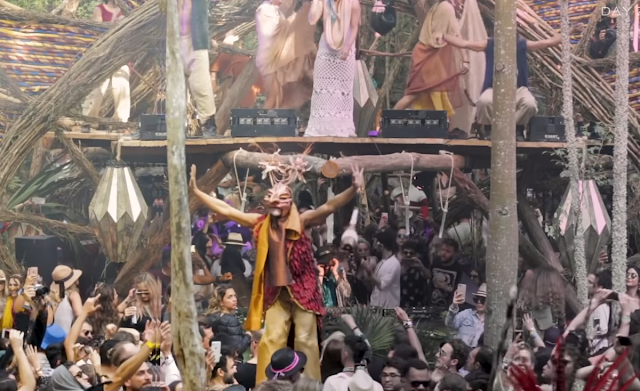 I’m usually hesitant about releasing audio or video live sets as I believe it’s impossible to feel the energy and the vibe from an event on a laptop screen but I hope you get some kind of positive feeling from what you’re about to see. 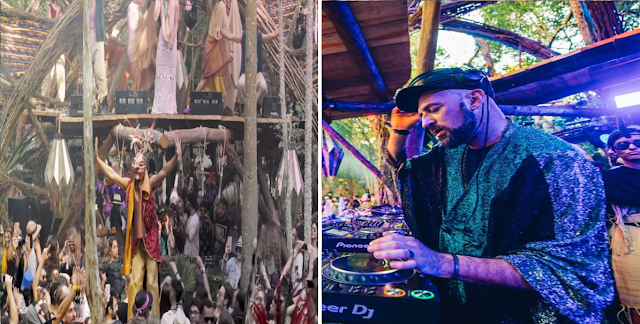 Master Alchemists Damian Lazarus & Black Coffee deep in the Jungle at Day Zero, Tulum, playing "the track of the moment" & more wicked tunes!